Dr Carole Streets obtained her Membership of the Royal College of Physicians in 1996. She then trained in anaesthetics in both the South West region and in the Northern Deanery, obtaining her Fellowship in 2002. 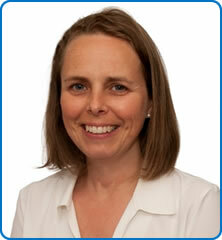 She was appointed as a Consultant at North Bristol NHS Trust (NBT) in 2011. Her areas of sunspecialist interest are Obstetric Anaesthesia and anaesthesia for orthopaedic and urological surgery.